So excited about this little faux garden! 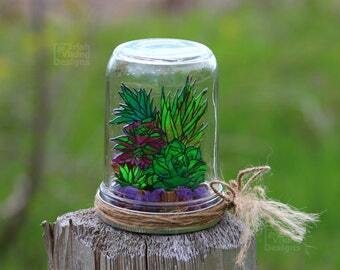 An arrangement of dried statice flowers and stems surround vibrant succulents drawn by hand on shrink plastic. 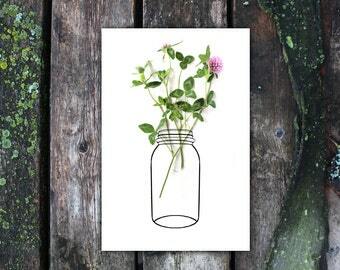 You don't have to have a green thumb for this miniature garden in a mason jar! Dreaming of the fresh greens of spring on this grey winter day!